This Nativity scene with pedestal in linden wood includes Joseph, Mary, and baby Jesus in a stable. A large tree protects the stable. One lamb and a donkey complete the scene. The scene measures 6.5 inches long by 5 inches high. 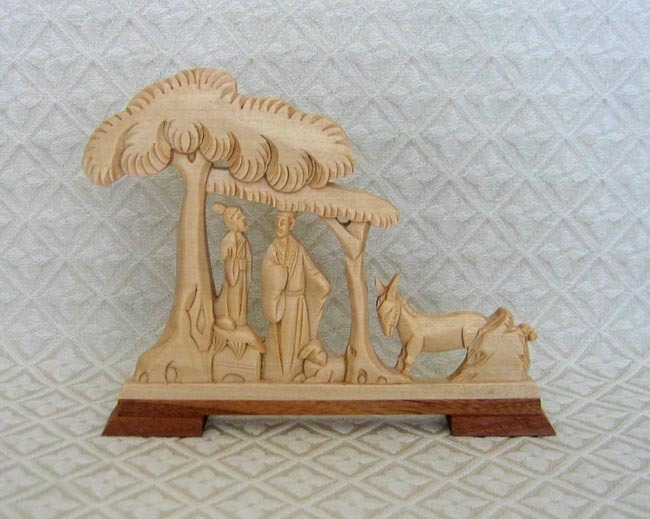 This item comes from the only Christian woodcarving workshop in China, located in China's Zhejiang province, an area famous for all types of wood carving.